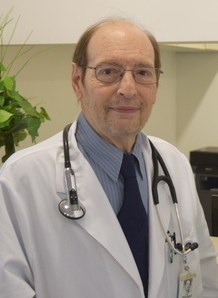 Dr Frumkin born upstate New York and went to University of Science Antigua WI. Then he finished his studies at Medical Clerkship Chicago IL. He did his Family Practice residency at Nebraska Medical Center in 1996. Then he joined to CHI health system and worked over 13 years. He is American Board Certified for Family Medicine and practicing in Omaha more than 20 years. 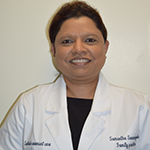 Samantha was born and raised in Sri Lanka and went to Medical Academy of Moscow, Russia and earned her MD in 1998 before coming to the United States. She went to Union College for her Master Physician Assistant Program and completed her medical rotations throughout the state of Nebraska. She gained her experience and knowledge by working in the setting of internal medicine, urgent care and family practice through the greater Omaha & Council Bluffs area as well as Moscow, Russia. She is “NCCPA” Board Certified and licensed to practice medicine in State of Nebraska and Iowa.Samantha is very caring person, trilingual and speak fluent in Russian language. Apart from work she enjoys helping underserved community and Native Americans throughout the State. She also helping two rural medical clinics in Madeira & Kitagobwa, Uganda. For sure her caring touch, soft speech, kind smile and extra attention will give you unforgettable experience at your visit.